Sometime ago, I blogged about simple living versus savvy living, the difference measured in levels of technology. Simple living is very much organic DIY, where as savvy living comfortably calls upon new techniques and technologies. This is why canning has appealed to me as a hobby and thus a topic for my leisure reading. My low-tech side enjoys the hands-on control over my food and their additives. What I grow, gather or buy, I can...can. 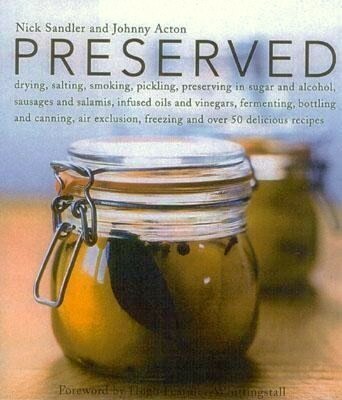 But preserving involves the safe processing of food that, should something go awry, could kill me! Thus, the my high-tech side is comfortable with the years of tradition and experimentation, and the many new products on the market. Canning works, and has improved greatly over the years. The following titles have inspired my food storage attempts, all of which have been successful! So far. If I'm away from the library for longer than a week, I may have made myself ill with bad batch of pickles. Wish me luck! by Judi Kingry and Lauren Divine. 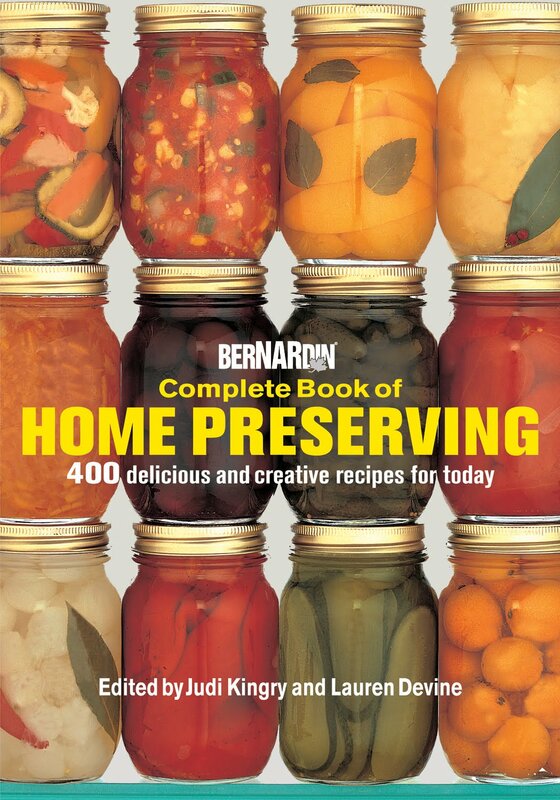 This title is an obvious must, since most of the canning products readily available in Canada are from Bernardin. The recipes are geared for use with their materials, but do not exclusively require them. This book was written for both novices and experts; I recommend this title as an introduction. This is the title that inspired this blog post. 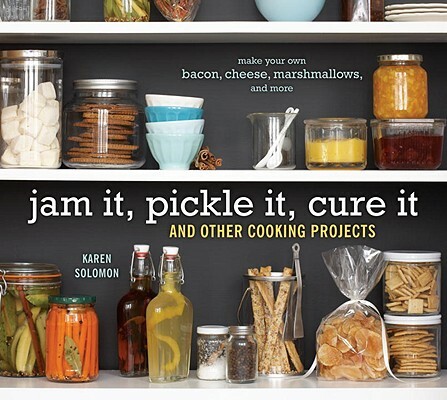 Solomon's short book is full of fascinating recipes for home-made...everything. Not specifically about canning, all the food listed can be stored for specific periods. Some of the food is expected from a title like this (a vinaigrette that lasts for 3 days in the fridge), while some are more than expected (home made butter lasts 2 weeks refrigerated), and some seem overwhelming, but aren't (salt cod lasts for 4 months in that same fridge). 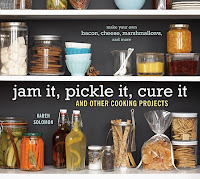 The design of the book and the simple recipe formats make this book approachable and inspiring. This title runs opposite to Solomon's. Huge colour photos are matched with delicious but intimidating recipes. Anyone for Bresaola, a Swiss salted beef served raw? Not a book for the amateur, I recommend this title for its international flavours and its educational value. 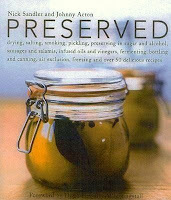 This book frequently discusses the history, geography and advanced techniques of food preservation. Solomon's book is truly fabulous. Her recipe for crackers works really well, especially if you use a pasta roller to flatten out the dough.